In recent days the former dictator of Haiti Jean Claude Duvalier (AKA 'Baby Doc') from 1971 to 1986 returned to his country. He was greeted by a group of supporters and an inefficient legal system that barely laid mediocre charges (corruption) rather than holding him accountable for the thousands of killings during his regime. Most likely the intentions of the former dictator are returning to power. 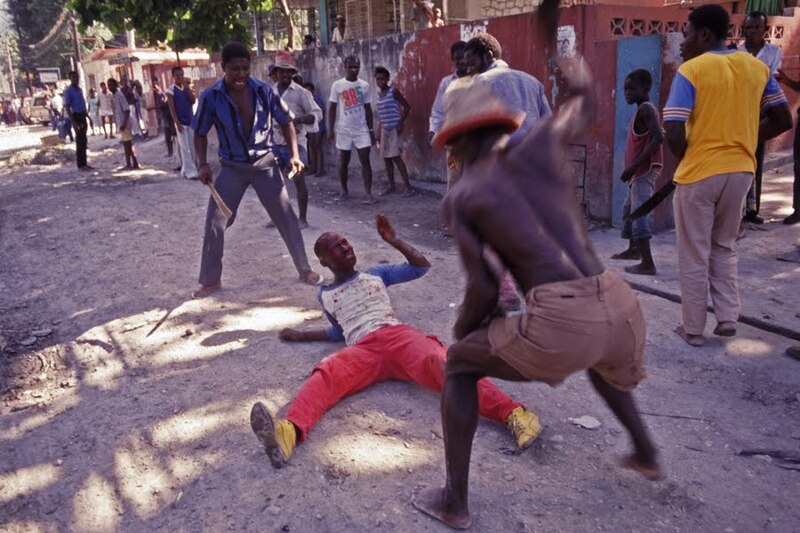 Duvalier escaped Haiti in 1986 in the midst of a popular rebellion against his regime. Duvalier is rresponsible for the imprisonment, torture and killings of thousands of Haitians during his regime.A peculiarity of his dictatorship was the ‘voodoo’ witchcraft’ as a means to intimidate a nation predisposed towards superstitions and with the highest levels of illiteracy and poverty world wide. 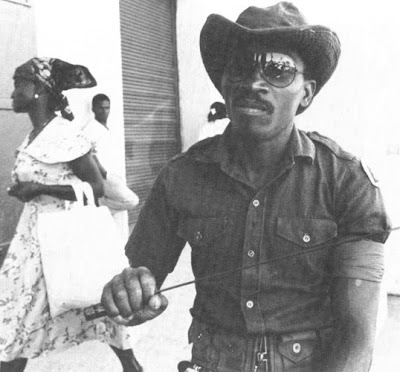 Tonton Macoute members wore dark glasses, wielded machetes, and left their victims hanging in public places as a warning to others. They cultivated the image of being voodoo demons or zombies. They often had firearms but resorted to machetes and blades to inflict severe and grievous bodily harm to victims. The 'machete' became a weapon used by the Tonton Macoutes and pro Duvalier groups to terrorize the populace and slash political opponents into pieces in public. - Presided over a corrupted government and he personally accumulated a wealth of hundreds of millions of dollars by exerting a monopoly on the tobacco industry – the Régie du Tabac (Tobacco Administration) and later extended to other government enterprises. - Brought to power a new ‘mulatto elite’ and alienated to old ‘black middle’ class that had supported his father Francois Duvalier. - A regimen characterized by high levels of inequalities which motivated popular protests nation wide. - The Duvalier regime responded to dissidence by closing independent radio stations, and repressing political opponents through the use of terror and his private militia the Tonton Macoutes. 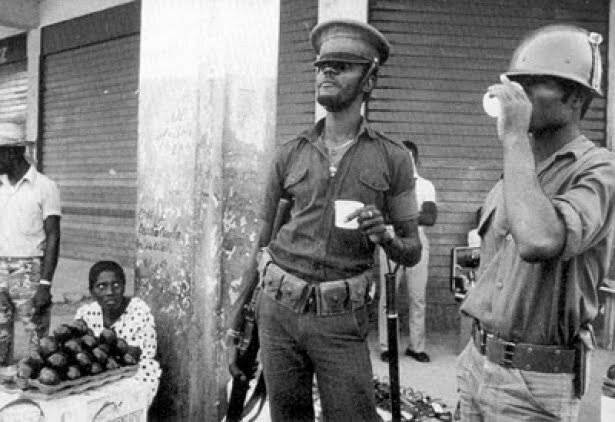 The man in the colour photograph is a suspected member of the Tonton Macoute, he was killed. You should mention this otherwise it's implied that he is being attacked by the Tonton Macoute. 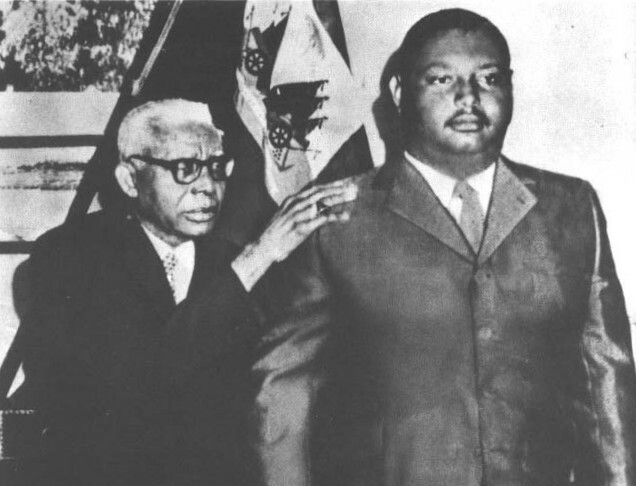 It is remiss, even in such a short article, not to state the high regard that many Haitians feel for both the Duvalier leaders. There were many horrors committed by both regimes but you need to use facts.